Feel the love this Valentine’s Day! Is anxious the new normal? Live animal keychains can be found on the streets of China. So what is a live animal keychain? 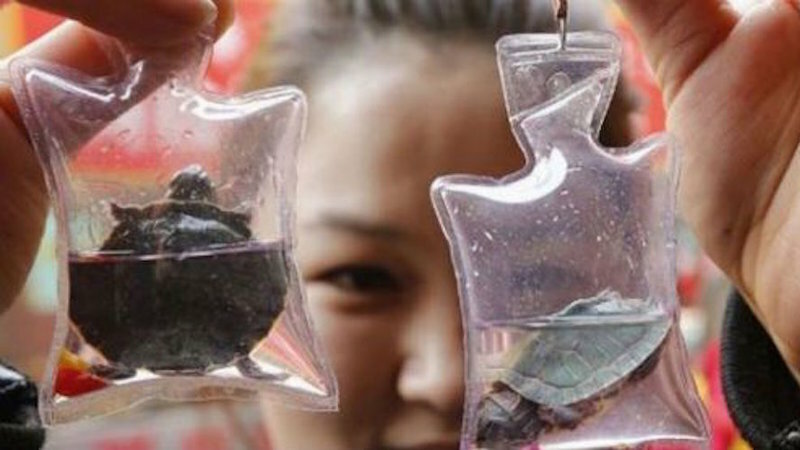 Imagine animals such as turtles and lizards sealed in plastic bags filled with colored liquid and sold as keychains and mobile phone charms. Hopefully you are as horrified as we are after reading that definition. The animals are treated as objects and not as the living creatures they are. The animals endure extreme confinement and usually end up suffocating. A seller of the keychains told a CNN reporter that the water contains “crystallized oxygen and nutrients.” Animal advocates have since countered the claim. Some compassionate people choose to buy the keychains in order to set the animal free but this in itself is still encouraging the sale of the inhumane and cruel accessory. The practice of forcing animals to live in plastic bags is cruel whatever way you look at it. In China, however, there are little or no animal welfare laws protecting their animals. Everybody on our team at Teenzone has signed the petition against the sale of these accessories in the hope that a message is sent to Cui Tiankai, Chinese Ambassador to the United States, urging him to help put a stop to this atrocious practice. Sign here to make your mark.